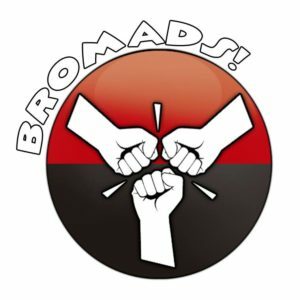 We’re settling into November and the fourth mission of Bromad Academy! This time, there’s no unit to try, but it’s time to (possibly) shake up your playstyle! Mission 004: Limited Insertion, Maximum Entendre is all about playing with 10 order lists and optimizing your decision making. There are a bunch of folks that already love the format and low-order count lists, but maybe playing at 10 orders makes you a little uncomfortable. Well, let go of your inhibitions and let’s give it a whirl together, Bromad! Play any Nomad list you want, so long as it’s 10 orders. Let’s all just lean into it and admit that StarCo is a Nomad sectorial, so that’ll count too. No restrictions on your opponent. Once you’ve done that, send some feedback and pictures to report@bromadacademy.com. 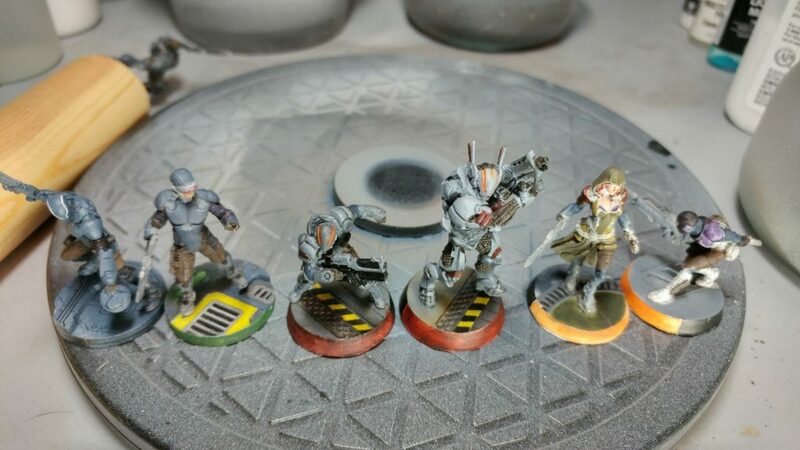 You don’t need to write a battle report, just write up your thoughts about the games you’ve played this month! If you’re a 10 order list veteran, write us and let us know what your favorite parts of the format are! If you’re new to the 10 order format, what was the hardest part of the transition? How has the transition changed your play? Has the smaller model count forced you to take some profiles you might not usually take? As always, battle reports and general thoughts are welcome. We want to hear whatever you’re thinking, good or bad, so write to us, especially if you’re not a Nomad player. Drop us a line to win some cool stuff! 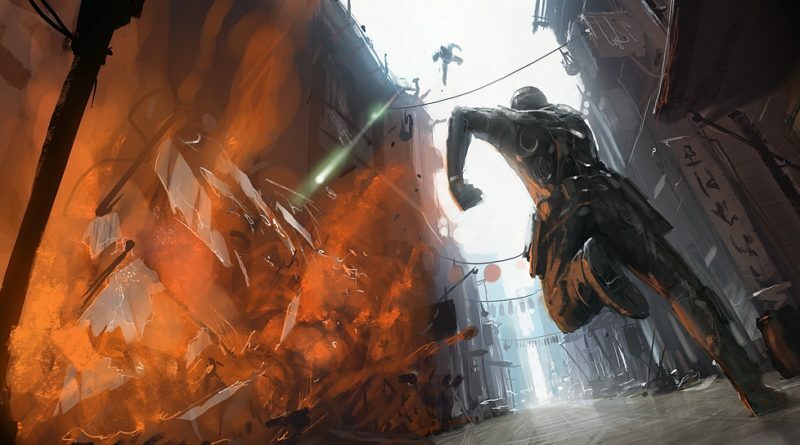 Let’s walk through each of the the five Nomad sectorials (including StarCo), and see how they shape up in Limited Insertion. Passive Board Control – Order-less board control, e.g. minelayers, perimeter weapons, hackers, repeaters, or direct template weapons. Just by existing, this unit or equipment discourages your opponent from being in that part of the board, or drains orders if they have to go through there. Face Punching – Another term I’ve seen for this is a “bully” unit. Basically something that can brute force its way forward and make holes for other units. Spot Removal – Sometimes a bully isn’t good enough and you need a specialized, very dependable “I need that thing dead now” unit, and you’re willing to set up the orders to make it happen for this type of unit. Flexible Specialists – Sometimes you need a specialist that does more than just push buttons. In Limited Insertion, you really can’t afford the orders to completely clear a path to an objective for a line infantry specialist or light infantry doctor/engineer. Sometimes your specialist will need to gunfight their way to an objective, or do something unorthodox to get there, like climb or super jump through an unexpected route. The concentration of units demanded by a fireteam definitely limits where and when you can project your force. We’ll discuss that, as well as how to leverage their strengths in the context of each sectorial. For each sub-faction, I’ll start with 1-2 example lists, and pull back the curtain a little to discuss the theory behind the list and what makes it go on the battlefield. Settle in. This is gonna be a long one. I have the least experience with Bakunin, but here’s a sample list for us to look at, based on the list from White Noise Episode 35 – Lachlan and his Riot Grrls. Passive Board Control – The Morlocks are the only real “passive” board control you have here. In this list, without a regular order battery, you end up with a sort of sweeping line of Morlocks across the board. You can burn command tokens to missile them at something, but you have better units for that. Just advance them across the board slowly and exploit inevitable weaknesses while draining orders in your opponent’s turn. Face Punching – Riot Grrl link. Enough said here. 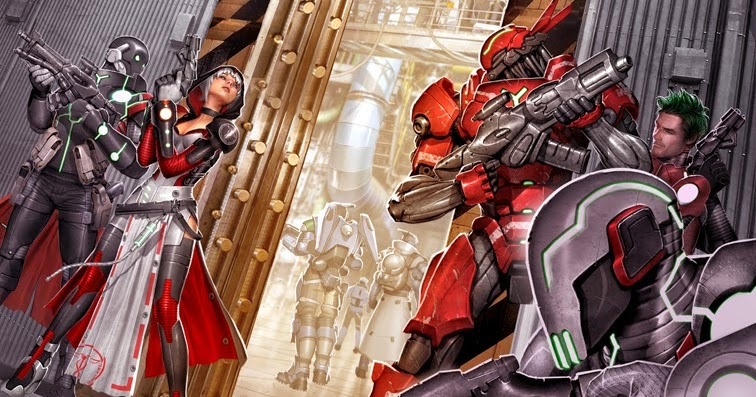 Spot Removal – The Uberfall are your spot removal in this list. Sometimes you just need to Doom Blade something off the battlefield, and if you sink the orders into these commandos, they’ll chew something up and spit it out. Leverage the Morlocks and their smoke to get them there safely. Flexible Specialists – Avicenna is a great example of this. She’s not the most amazing gunfighter, but she does have a 6″ cautious move and a WIP 15 flash pulse. If she needs to be somewhere, she’s likely to get there safely and push the button when she’s done. She can also leverage that 6″ move to efficiently jet around the board and pick up downed Riot Grrls as she does. The core (pun intended) of the list is the Riot Grrl core. With two missile launchers, they want to just sit in the back for awhile and blow up anyone foolish enough to try to walk around on the table. Once the missile launchers are dead or no longer worth saving with Avicenna, you can push the remnants of the link up the field using the spitfire to punch whatever holes in your enemy’s defenses that the Uberfall or Morlocks haven’t already made. The list is all about controlling key sections of the board with chain rifles, and firing the Uberfall cruise missile at something important turn 1. Avicenna can handle much of the button pushing duties if she needs to, and has more than enough helper bots to keep everyone except for the Chimera and her STR up and running. So, how do we turn it into a limited insertion list? Let’s start things off by keeping the exact same Riot Grrl core. If it ain’t broke, don’t fix it. We’ll keep Avicenna too, because she’s a speedy specialist and can pick up downed Riot Grrls as necessary. The fact that we have less orders means we’ll likely want some midfield specialists too, so let’s look at an AHD Zero and a Prowler Specialist Operative, to have full-spectrum threat in the midfield. Passive Board Control – We’ve lost the Morlocks, but gained two threats in the midfield. It would’ve been nice to have the Zero Minelayer profile, but we can’t have everything in LI. Two camo tokens means you could have an AHD under either one, so TAGs and HI will have to respect that possibility. Furthermore, both can handle armor, so you’re not bluffing. Face Punching – Still the Riot Grrl link. You’ve also got Kusanagi now. Spot Removal – This is where this list is a little weaker. You can ask the Prowler or Zero to do this, but that might be asking too much of them, as they’re not throwaway, like the Uberfall are. Flexible Specialists – Avicenna is still amazing. It’s worth noting that a core link in LI really starts to concentrate threat in one area of the table, and you have to start consciously thinking about spreading out that threat to pressure your opponent on all sections of the table. This list does that with Kusanagi as a flank pusher and our two midfield specialists to exert some pressure and to slow down the enemy if necessary. That last point is key–if necessary. If you lose them, you’ve lost your investment in having something in the midfield for no orders to push buttons. Limited Insertion changes the math on what you can give up in the reactive turn. Kusanagi is great, but she’s very vulnerable to template weapons, especially flamethrowers, so you have to screen her with other units. You’ll probably end up using her as a soft pinning piece to sandwich stuff against with the Riot Grrl link, and will be relying heavily on the Zero and Prowler to help out. Passive Board Control – We’ve already talked about Morlocks and Zeros, and we can add Taskmasters and Lunokhods to this list, primarily because of their Koalas. Just by standing there, they discourage folks from being there. Face Punching – Lots of options here. The Kusanagi Spitfire, Custodier, and Healer haris is a great option, as is a full Moira or Riot Grrl link. 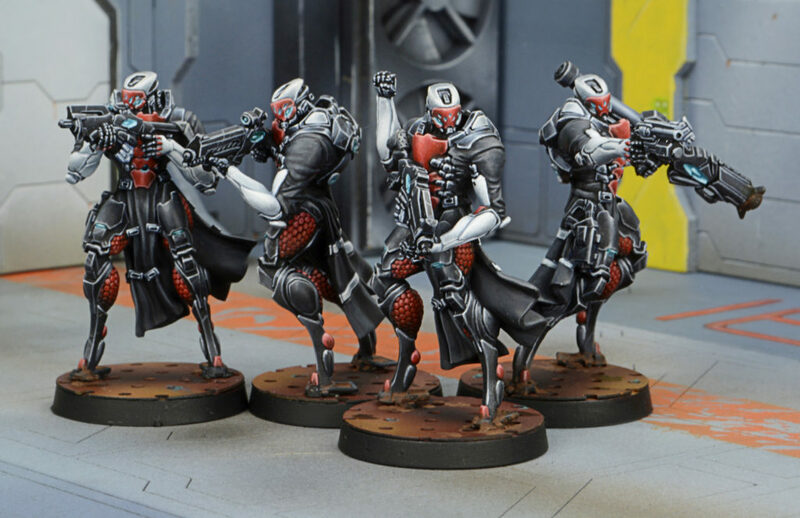 The Taskmasters also offer some good tools for this as well, although you’ll find the Red Fury needs some anti-armor support from other units. The Prowler spitfire might seem expensive, but having something that can reach out and touch anything in the opponent’s DZ on the first turn in good range bands is a great tool. 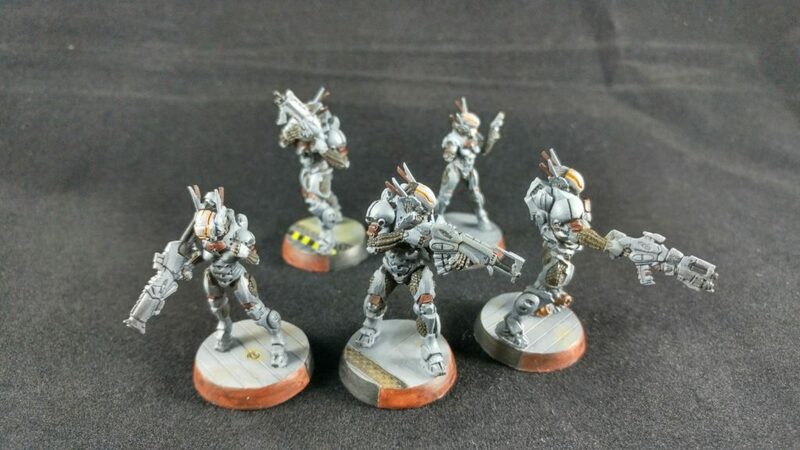 Spot Removal – The Uberfall are great at this, and I’ll offer up the Meteor Zond and Bran for consideration, mostly for their deployment possibilities. 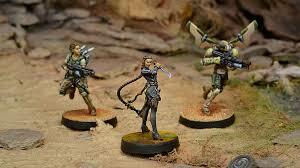 Flexible Specialists – Avicenna, of course, and I’ll add the solo Riot Grrl Specialist Operative to this list. Blitzens are amazing, especially in an armor-heavy format. The Prowler is no slouch either. The above list is by no means exhaustive. Try things out for yourself, and write in with any additional thoughts! This is the list I took to the 2018 Adepticon Biotechvore Showdown. It features the aforementioned Brigada Pain train, and lots of smoke up to and including eclipse smoke to get your units where they need to go. The Bandit AHD is a concession to the format–if your opponent is on 10 models as well, they’re likely to have something hackable. This list is extremely aggressive. The Brigada link is quite capable of shoving itself down your opponent’s throat, with or without smoke support. McMurrough can single-handledly wipe a backfield, and the Massacre Haris is no slouch either. Passive Board Control – We don’t really have much other than the Bandit here. This list is about getting into your opponent’s face with a werewolf or a giant with an HMG and giving them what for. Face Punching – All of the things in this list are great at punching things in the face. Spot Removal – You could potentially sacrifice the Bandit or McMurrough to get rid of something if you really really needed to. The Jaguar Haris as well. Flexible Specialists – The Bandit is your go to here. This isn’t a well-rounded, Highly Classified list. This list is all about killing. There’s a lot of order efficiency here–the Bandit starts forward, McMurrough gets his impetuous order, and the links of course are the definition of order efficiency. That said, if you just push any of the pieces forward unsupported and get overextended, the list will quickly crumble. The Brigada can really benefit from a Jaguar’s chain rifle watching their flank, or even a Bandit in a blocking position, for example. In the active turn, the Massacre Haris may be outgunned and need the Brigada to punch a hole for them to get through. McMurrough, unsupported, will easily get himself killed, so covering him with a core’s AROs in the reactive turn can slow his demise. Basically, the key here is to remember to leverage all that efficient movement to set up interlocking AROs in the reactive turn. It’s easy to get kill-happy in the active turn as well, so leave yourself some orders at the end of the turn to set up for the reactive turn. That’s one potential key take away from this list for Limited Insertion. Passive Board Control – Morans are the kings of this role. If you want to get close, you have to contend with Koalas. If you’re hackable, you’re also getting hacked as you do that. Face Punching – Corregidor is a very face-punchy faction. All of the TAGs excel at this, as do our iconic Intruders. Hellcat HMGs and Spitfires are no slouch at this either. Spot Removal – Intruders are quite strong at this. With smoke support, you can reliably remove just about anything from the table. A Hellcat BSG is another good option for this. 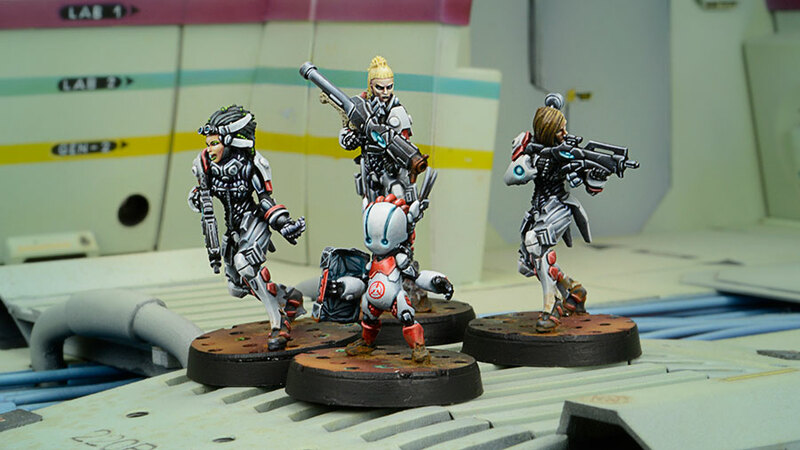 Flexible Specialists – Morans and Bandits are quite flexible, although in my experience Morans generally only push buttons when things are going exceptionally well. Since they’re such high passive threats, they generally are amongst the first of the Corregidor units to die, and they’re not protected by a marker state like Bandits. Expect to get your Morans eaten by Antipodes and the like, who are more than capable of swatting aside your Koalas. There is a lot of excellent support in Corregidor for building a list of a single powerful entity, like a 5-man Brigada core, Gecko Duo, or an Iguana, so that is definitely something to consider here as well. This list won me the PGS Biotechvore Showdown earlier in the year. At first glance, it’s quite similar to the the Corregidor list–the key component, after all, is a Brigada core. The StarCo core is a significant upgrade over the Corregidor one, however, as you gain eclipse smoke, a CC specialist, and a doctor. So how does this stack up against our rubric? Passive Board Control – Most of this list requires some setup to exert board control. You have to move the various links up, shoot some pitchers, and just generally reposition to take advantage of the terrain. There isn’t a lot of passive board control. Face Punching – The Brigada link is where most of your power lies. You can expect Emily and Raoul to get you up the board if you need that, but the real heavy hitter is that Brigada HMG. Protect it. Spot Removal – In a pitch, Emily or Uhahu can take out a piece of armor, but you’re really over-extending them to make this happen. Flexible Specialists – The Emily and Uhahu duo are basically the defintion of this. Between the two of them they have an answer for just about anything. The Haris in this case exerts some more board control as well, due to the MSR and drop bears, while retaining an excellent CC specialist in Raoul. The smoke now comes from the core, and the Eclipse smoke is anti-synergistic with the MSR MSV2, but the Haris is now engaging things at range and then moving up later in the game as opposed to attacking early. The largest difference between the Corregidor list and this one is the addition of the Emily/Uhahu duo. I can’t say enough good things about this Duo. Emily gives Uhahu some much needed long-range punch, and Uhahu gives Emily some much needed anti-armor support. Yes, Emily’s got a E/M LGL, but being able to hack your target just increases the toolbox available to you. This list is less killy than the Corregidor list (which makes sense from a fluff perspective), but dramatically increases the overall flexibility and capability of the list. One only needs to count the specialists, both in quantity and type just to see the difference. The links are slightly more self-contained as well. Although they still require support from one another, they each have access to a larger toolbox to get where they need to go and do what they need to do. It’s worth noting that StarCo can be played duo-heavy and that ends up with a Vanilla flavor in terms of threat density, but that’s more in a non-LI context. Passive Board Control – The Al’Hawwa AHD and Bandits are quite decent options, and you can always take a Lunokhod. Face Punching – There aren’t a ton of standalone face punchers. Our HI options and the Hellcats are your best shots, but if you’re going to invest in the HI options you should consider beefing the up with link support. Spot Removal – Raoul, Caterans, Knauf. But who are we kidding, the AD version of Raoul will eat all your orders but will remove whatever’s giving your trouble. Flexible Specialists – There are so many. Basically all the named characters are amazing, and you get Irmandinhos. Definitely spoiled for choice here. Bonus points for working in an Irmandinho into a LI list. Many of our locals are preparing for the Emerald City Incursion, our regular monthly tournament was repurposed to match the format to allow our locals to practice for it. The mission selection is acquisition, supplies, and supremacy which have rather generic ITS requirements. None of those missions require any special gear or skills so I was free to make LI lists that tooled around with compositions I haven’t tried before. Tunguska is a good fit for limited insertion, generally my regular tunguska lists have fallen into the 10-13 order range. Tunguska gains a lot from not having to worry about cheap rambos backed up by 16+ orders turn 1. Also many elite units that turn up more often in LI are hackable, which helps play to Tunguska’s strengths. Many Tunguska units themselves are elite, with a varied tool box, which can help them in a format where you don’t have many units to draw from. First I knew I wanted to run a Hollowmen CORE. This is a link I hadn’t had the chance to use yet, and they just recently received a beautiful SWC box release. One thing that always appealed to me about Hollowmen is how nearly all of their profiles have chaincolts. Frequently links get into trouble when something nasty gets up close and can start dropping templates, the ability to return fire with burst 2 auto hits to make the pain stop is a very useful ability to have. (it’s also the reason for the combi option instead of the boarding shotgun above). I like including both SWC options, for a link this expensive, I would like a variety of weapons to cover different range bands. SWC guns and super jump also combine well, the missile launcher can really be a terror nuking things that your opponent thought was safe. Super jump is certainly the prime feature of the link, enabling interesting attack vectors, AND interesting retreat options to protect models. Practice rounds would commonly end with one or two orders spent retreating the link UP to protect them from counter attack from models like myrmidons. The Perseus haris is another link I hadn’t had the opportunity to try out yet. I quite like it in the LI format. It plays very similarly to a little myrmidon link. The ability to reliably smoke your advance OR smoke to cover the Hollow men’s advance was much appreciated and saved me from rocket launchers a number of times. Having 2 specialists and a varied tool box made them nice little fixers. Mary Problems is normally a pretty safe choice being a mobile and flexible specialist. (Who also has the best unit icon ever). The pitchers come in handy, as does lighting, and she’s very flexible with her SMG and ODD. She also helps protect the LT option, few hackers that get into the Tunguska repeater network fair well against lighting and sucker punch. The “Securitate” is flexible with close, medium, and long range options. The spitfire can help sooth visual mods, though the link as a whole is still vulnerable if caught out in the open to a surprise ML. Hopefully the missing units and SWC when your opponent deploys would help to clue you in to be careful of hidden missile launchers. The visor helped a lot as expected fixing vis mods. Of note we’ve been making it typical of our local tables to include terrain OTHER than just buildings in preparation for the Rose City Raid. It’s very satisfying when you get to double dip on a visor, ignoring a low vis zone from terrain while also ignoring a camo mod from your target. The Grenzer FO is a good specialist, with a useful secondary weapon, but the prime appeal is his sensor. It opens up triangulated fire, and sensor sweep which is amazing, but also allows him to (nearly) auto discover camo. (Wip 13 + 3 link + 6 sensor = 22) The msv allows him to ignore the first -3 from camo, and he potentially has an additional +3 for range. Perseus is a champ, as always. Finally for the link there is a securitate paramedic. Cheap specialist, if you’re lucky, and desperate, revive someone. I’ve gone back and forth between the para, and a repeater. If this list had white noise it would be an easy choice, but… compromises. The Kriza HMG is an excellent workhorse. Using him as the LT has risks, but you can normally forgo using him too aggressively early on, round 1 he can usually hang out in your deployment zone and clear longer firelanes. The AHD is a good pair for him in a link. The tin bot is a nice little perk, but the real appeal is adding specialist, and a chain colt. The chain colt is very valuable for point defense against nastys like Fidays or Ninjas engaging your Kriza. He probably* won’t die to the first attack, and guaranteeing at least 1 arm check has a certain appeal. The Spektr KHD is a Tunguska profile I really like. Having a second KHD can help a lot to clear out other hackers which may give the Kriza a problem. He’s also an infiltrating TO camo specialist which is amazing in generic ITS missions. Finally I’m one of the few people who seem to like cyber mines. Normally KHDs can’t do much to HI/Rems/Tags. The cybermine is a decent tool for delaying, and can be used to force normal rolls during your active turn. Cybermines are resisted by reset, not dodge. The spektr can lay a cybermine with a tag or nasty HI in the trigger area, and something like the Feuerbach or Kriza can then walk into LoF and shoot. The cybermine will trigger and likely cause IMM 1, the next order the IMMed model may only reset, allowing for normal rolls. The Daktari is a compromise. I like the opportunity to revive something, and there were not a lot of other options I liked better in the point bracket. I actually really like zond bots, being able to project heals across the board is great, and there are a lot of things to be said for completely disposable models. They can discover ARO or warning at little risk, and you can place them in location so models like Oni cannot physically move into base to base contact with other valuable models. And we’re down to Vanilla Nomads. There are just so many ways to build a limited insertion list for this faction that there’s I’m of the opinion that to first order, there’s not really a wrong way to do it. I generally favor a specialist heavy, board control style using Morans, and this list is no exception. I’m generally looking for the maximum available toolkit when I list build for Vanilla, because you have no idea what you’re going to face and you really want the most options on the table. I think the key to success in Vanilla Nomads is bring the kitchen sink, and then leverage whatever tool is a) closest, b) most appropriate, or c) you have left on the table to accomplish the mission, in that order. You also get the most bang for your buck out of coordinated orders in Vanilla Nomads. Don’t be afraid to use the coordinated orders for movement alone–but always have a plan! Don’t just coordinate to get movement efficiency, you should think about 2-3 orders ahead at least. As I said in the earlier sections, leave enough orders to set up for the next turn. One of the things I thought the lists was missing after playing it a few times was more verticality. To remedy this, I’ve added a Hollow Man Spitfire, at the cost of the Intruder. Since we’ve lost some long range punch, let’s put a piece closer to the action, and swap Aida for a Bandit. I haven’t had a chance to field this list, but I suspect it will be a good complement list to the previous one, as it has different tools for different tables, while retaining a core toolkit. Hopefully I’ve given you some food for thought when building a Vanilla list. I’ve done enough writing on the subject–what units do you like in Vanilla for the various roles? Write in and let us know! Time to eke out every bit of efficiency you can out of your order pool! Good hunting, Bromads! Mission 003 Report: It’s Quiet. Too Quiet. What Yadu Can Do For You!